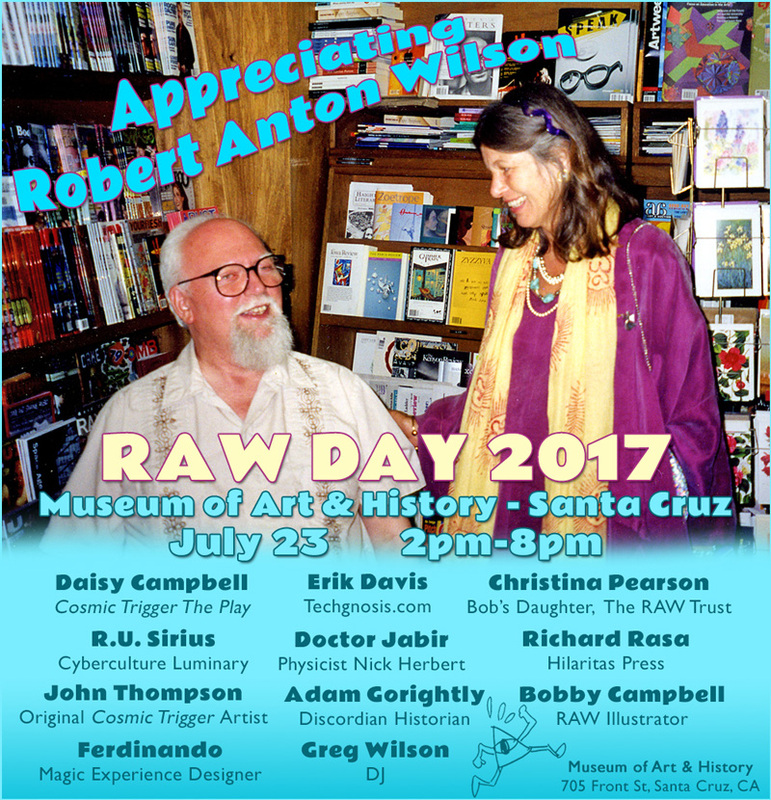 RAW DAY 2017 was held at the Arts and History Museum in Santa Cruz, California on July 23rd, 2017. The RAW DAY Videos includes all the day’s speakers in the order of their presentations. Thanks & kudos to Cosmic Trigger illustrator John Thompson, DJ Greg Wilson, Videographer Andrew J. O’Keefe, event organizer Dustin O’Reilly, and the unflappable artist Bobby Campbell. RAW DAY Videos are coming soon! Sign up for the RAW Trust Newsletter to receive the announcement, and get all the latest RAW Trust news!